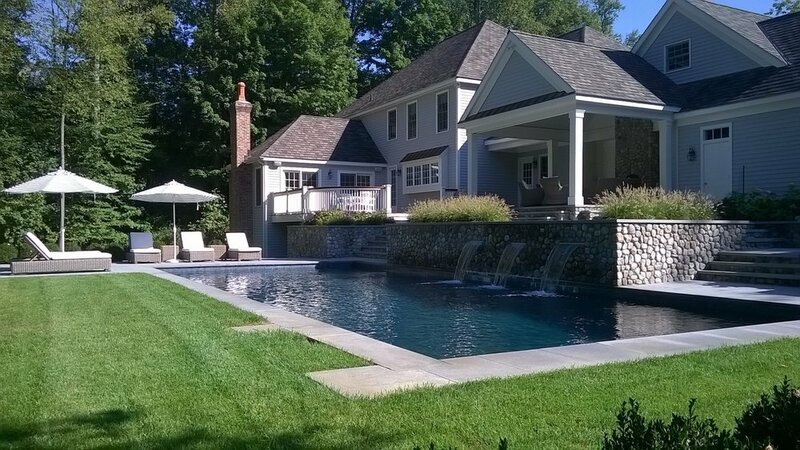 Westport gunite pool with organic boulder wall and plantings. Rowayton vinyl pool retreat. Classic English garden style. Ridgefield Lautner Edge spa with lower pool entertaining area. 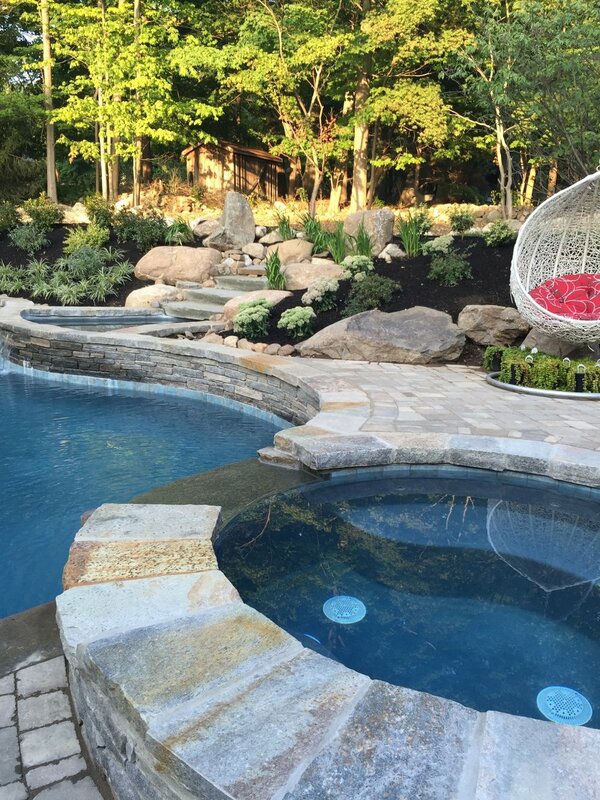 New Jersey custom lagoon with bar stools, spill over spa and natural rock waterfall. Fairfield beach retreat. Hamptons style. Westport gunite pool with Lightstreams Glass tile, interior spa and rolled spa beam.